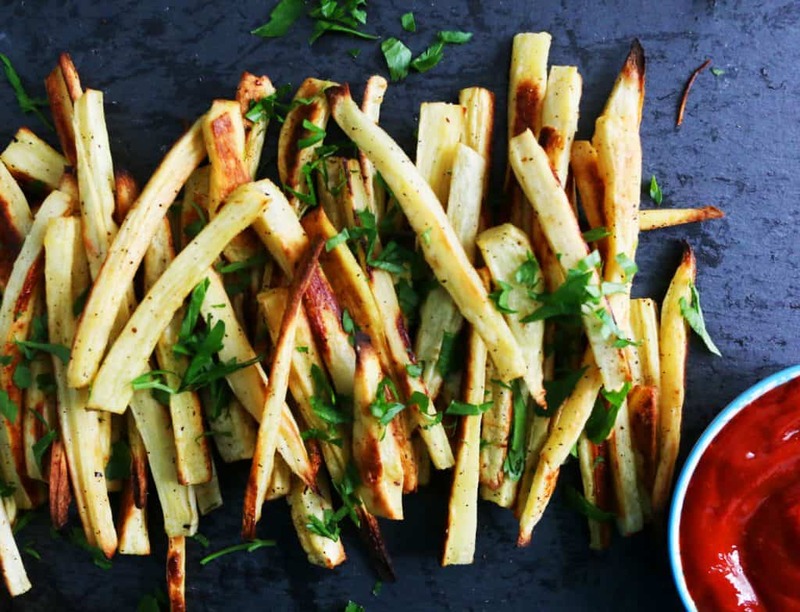 Simple, quick, easy, guilt-free parsnip fries served with a guchujang ketchup. An all time favorite for kids of all ages! 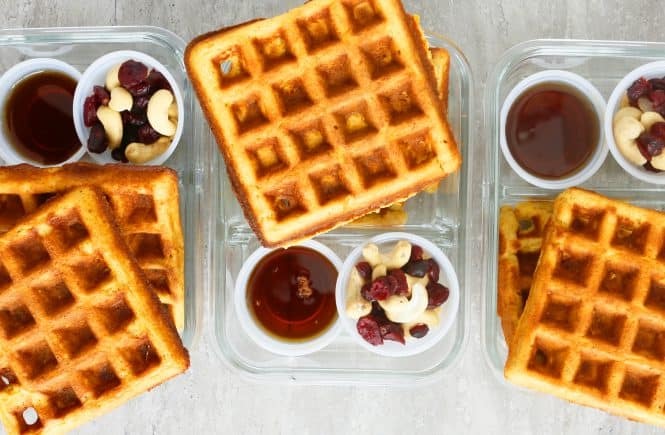 I’m so excited to share this recipe with all of you. I have been making parsnip fries for a very long time, may be ever since Sophia was in kindergarten. She’s is eighth grade now, anyone interested in some math? She used to love french fries, which kid doesn’t? and couldn’t get enough of them. Hence, I started baking potato fries , but it just wasn’t as good as the deep fried version. Then, when I switched to parsnip fries and let me tell you, she would devour them every time. It then became a regular visitor. This is an absolute kids favorite! It’s hard to keep track of the number of kids that have tried these fries and each and everyone loved them and always wanted more. To begin with, they look like your regular french fries, don’t they? So, you will have no trouble convincing. 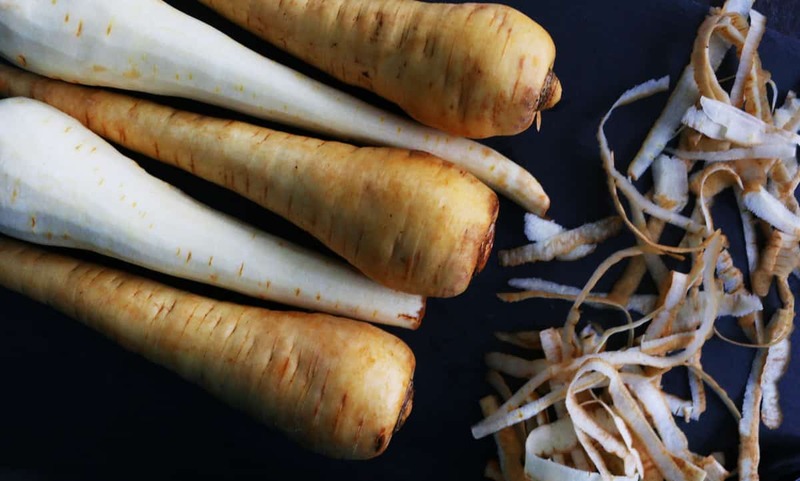 What are parsnips? They are root vegetables related to carrots and look very much like a white carrot. Cream fleshed, they are rich in fiber, vitamins and minerals. It does not taste sweet when raw, but gets so much tastier and sweet when roasted. All you have to do is peel, cut and toss with a touch of oil (salt and pepper are optional) and bake. Gochujung is a spicy, red chili paste that also contains glutinous rice, soy beans and other sweeteners. 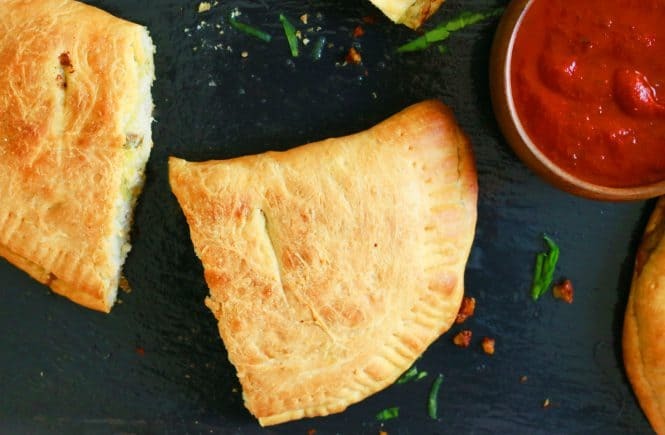 It adds a spicy kick when stirred with ketchup. 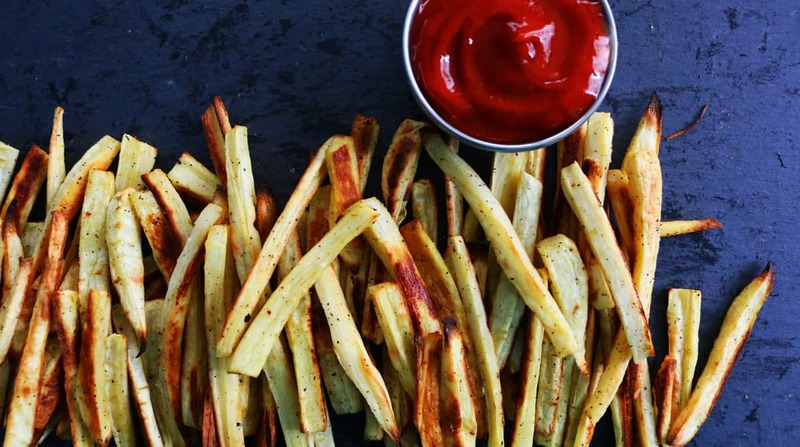 Of course, these fries are good with regular ketchup or just plain. I picked up mine from our local Ranch Market. 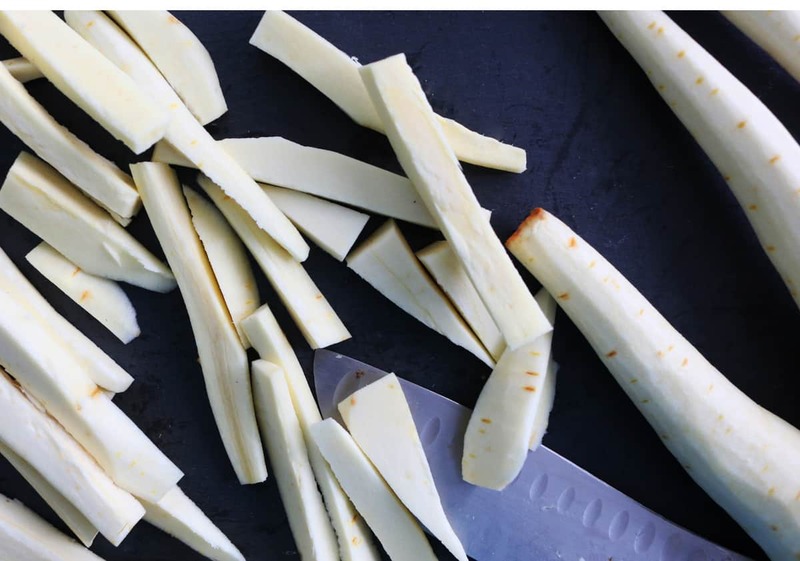 Peel parsnips, snip off both ends and cut into thin fries (just like you would for french fries). 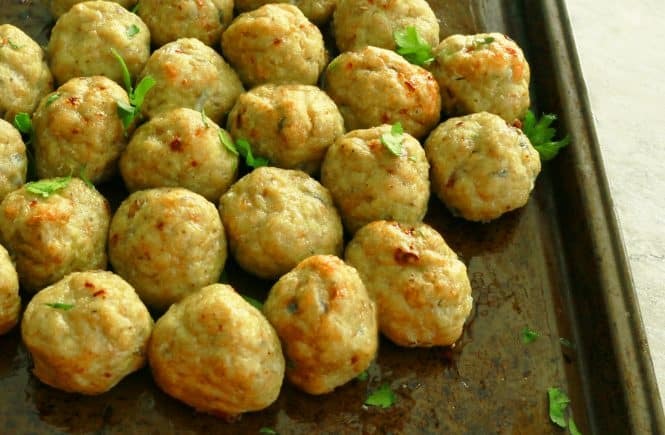 Place them in a sheet pan and toss with olive oil, salt and pepper. Spread in a single layer (so they can roast evenly). Bake for 20-25 minutes, until lightly golden in color. Place baking pan on a wire rack to cool slightly. 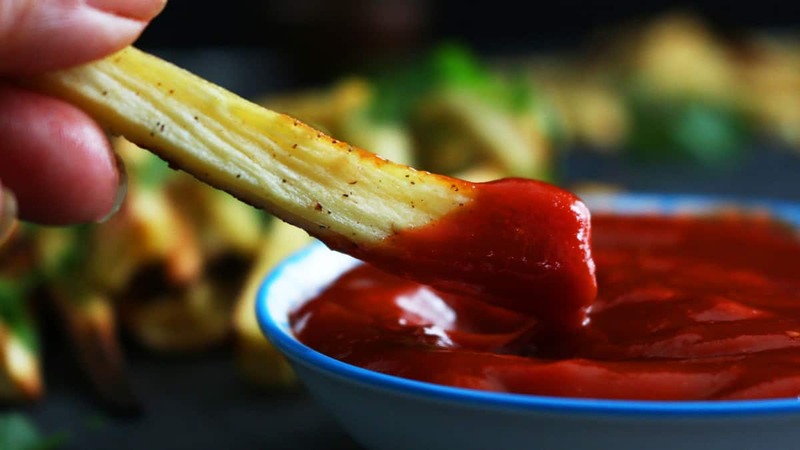 Serve fries with guchujang ketchup. 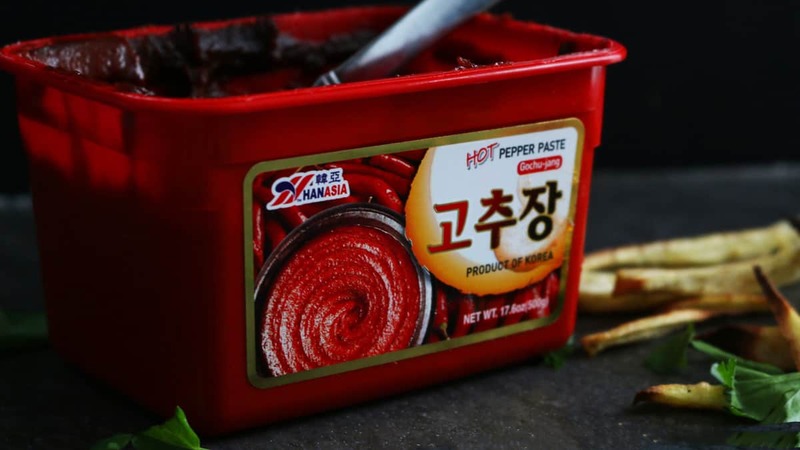 To make guchujang ketchup, stir together gochujang and ketchup together in a small bowl. 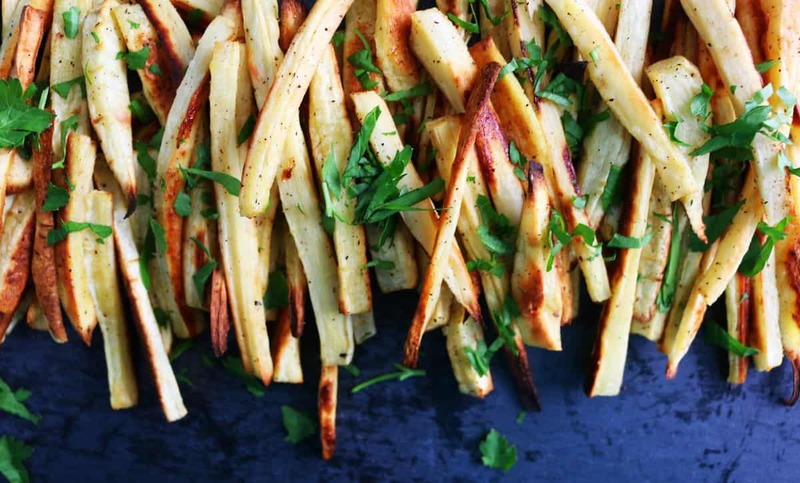 I absolutely love parsnips. Haven’t made them in a while though. 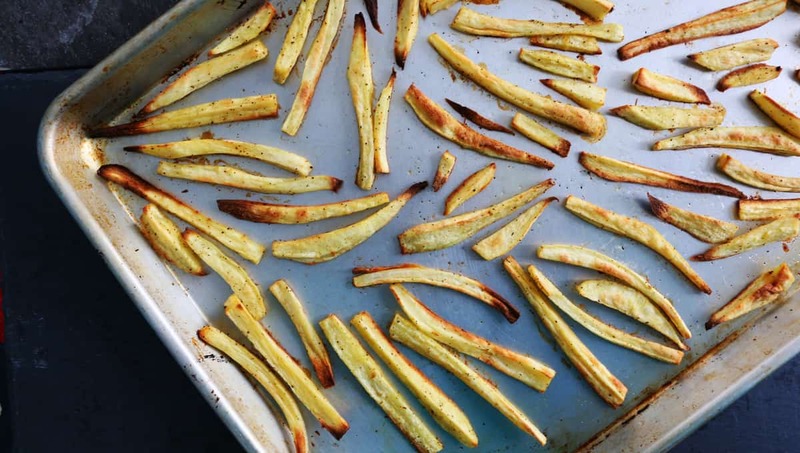 These parsnip fries look like a great healthy snack. 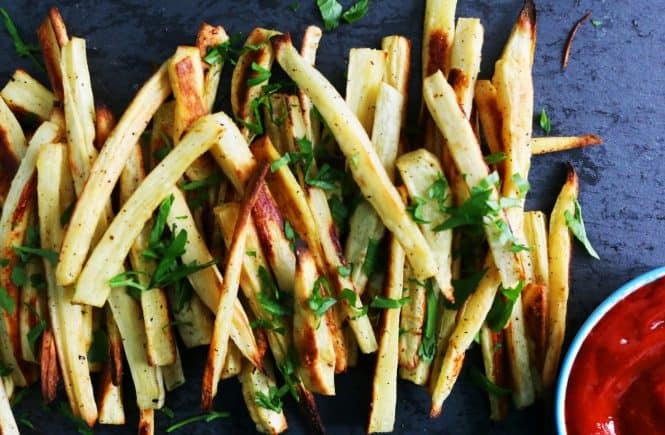 We eat roasted parsnips mixed in with other root vegetables, but I never thought about making them into fries. Will try these soon!